If anyone wants to know more on how to do this, ping me on G+ in the OpenELEC or XBMC Community and, I'll try to help. Posted as "Zotac AD10 / DVB-T / Pulse 8 CEC / Samsung TV : full RC over HDMI-CEC, autorip DVD" on the OpenELEC forum. Quite impressive! I have XBMC running on my HTPC too, so I must have this too! The HDMI-CEC setup, I mean. However, I can't seem to find the Pulse 8 in shops in my region. Could you comment on where you got it? I have a similar set up with the Zotac ID-11 I've been running for 2 years connected to a Synology DS712+ via NFS. Works a treat. You can get the CEC adapter from either Amazon (http://is.gd/UWrYpf) or Pulse-Eight (http://is.gd/KCFFPj) directly. 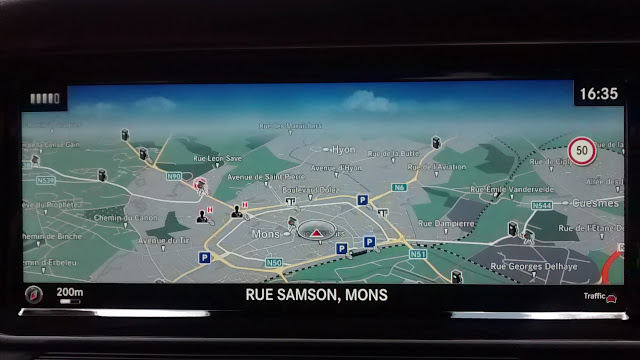 If you have a Mercedes-Benz car with inbuilt Satnav and a data card slot (e.g. SD) then this post may be of interest to you, including Howto, Details, POI Services, POI Icons, Linux, Resources. This may all be applicable to all such cars, but tested working on a 2017 W222. I used Linux (Ubuntu 16.04.2 LTS) although any other modern OS will do, such as Windows or OSX. Thanks so much to all the musicians who created this amazing music and those that painstakingly transcribed it! I encourage you to go to the websites of the transcription folk listed below and click on their links to buy stuff or ads so they can get revenue to help support their work. Tab alone just doesn't cut it. Transcriptions have and continue to be so helpful in developing my small but growing knowledge of lines and styles. The UN World Food Program's October 2008 update said that it is going to end need $6.7b to feed 97m people. Thats $69 for every person at risk. Where could that money have come from? How about all that money NASA spends on space exploration. A scientist by education, it strikes me as exhorbitant that we should spend such extremely large sums of money on achieving things that should matter less than saving lives. The space program to land a man on the money cost, at today's money, cost $145bn. The money alone spent by the US on this program would have funded the World Food Program or 20+ years. If the world was one household, then would there be any disposable income, whilst it's children were dying? And if the world was a prosperous, healthy and happy village would non-essential spending be accepted in that village, whilst it's children were dying?